One of the basic need of all mammals – both human and animals alike is food. It is not just a luxury, it’s a necessity. The survival of man is tied to healthy eating in an adequately measured proportion. In as much as food is vital to survival, the food to be eaten must, apart from being healthy, contribute meaningfully to the growth of the body system by supplying the needed energy and nutrients required by the body to function optimally. Unfortunately, because of the need for speed in today’s world (where everything is required in an instant – instant cash, instant service, INSTANT FOOD), the art of proper and hygienic preparation of food has been taken out of the health equation. Junk foods have risen in demand and it is very easy to forget actual good food as the idea of food has become junk and junk has become food. Junk foods are those group of food which are high in bad cholesterol and calories, enriched in sugar, low in nutrients and usually contain synthetic substances which are remotely harmful to the body system. They are harmful because most junk foods are processed, and by being processed they lose their natural properties, which are essential in food. For example, the vitamin content of an apple fruit cannot be compared with that of a processed apple can juice. The latter, through processing, is stripped of essential nutrients, while colourings, chemical preservatives, and carbonated sweeteners are added instead. Another reason why they are dangerous is that they contain synthetic ingredients and lots of preservatives. 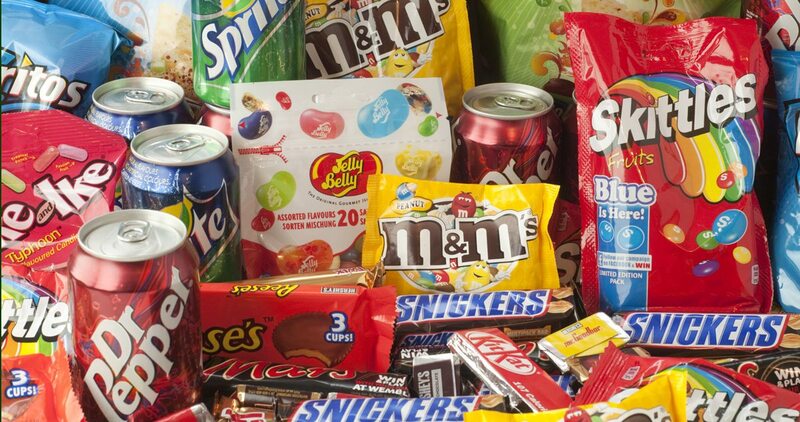 The producers of junk food have profit maximization in mind so they package their ‘foods’ with so many chemical preservatives (which may not be harmful to the human body in the immediate, but in the long run) so they last longer at the stores. The proliferation of junk foods has resulted in the rise and widespread of health epidemics and countless chronic diseases in the world today. There is no gainsaying that needs for a good, well-cooked meal with fruits (in their natural state) cannot be under-emphasized. However, the accessibility and cheapness of these junk foods (Junk foods are easily found, easily bought, easily carried and easily consumed) serve as a factor for their general, yet astonishing acceptability. Has poor nutritional value is considered unhealthy and may be called a junk food. A food that is high in fat- especially trans fat, sodium, and sugar is known as a junk food. Has little enzyme producing vitamins &, minerals and contains a high level of calories. Has added food additives and colours to enhance flavour, texture, appearance and increasing long shelf-life. Causes obesity, dental cavities, Type 2 diabetes and heart diseases. Fried foods may also be considered as junk foods because they expose the body to depression and anxiety. The truth remains that unhealthy and junk foods are the main reason why the average life expectancy in the world is shorter than it used to be. The world has become ‘sicker’ than ever before with more and more life-threatening diseases being discovered every day. Processed Foods labelled “Low-Fat” or “Fat-Free”: Since this campaign (against saturated fat) gained momentum, manufacturers have sought to remove fat from foods while replacing them with sugar (to compensate for the removed fat). So the next time you buy a ‘low fat’ food from a store, know that you just bought a food item with a high amount of sugar. A Dressed plate of Salad: Somebody will say, ‘what is this dude talking about?’ Watch closely! I said ‘dressed salad.’ The vegetables/fruits in the plate of salad are not the problems, in fact, they are very healthy. But what is the content of the dressing? Most salad dressings are actually a mere combination of unhealthy ingredients such as trans fats, sugar and vegetable oils, along with a bunch of unnatural chemicals. So next time you want to eat a plate of dressed salad, you might want to ask questions. 100% Canned/Bottled Fruit Juice: The only fruit juice that is healthy is the natural fruit in your hand. Those processed juice (like you find in stores) are not fruit juices but packaged liquid sugar. They contain the exact same sugar quantity your sweetened beverage contains. “Heart Healthy” Whole Wheat: Most foods labelled ‘100% whole wheat’ are not really made from whole wheat. The truth is it may be even better to go for the white flour bread than going for the whole wheat bread on the pretext that it has a lesser glycemic index (a number associated with a particular type of food that indicates the food’s effect on a person’s blood sugar level). Margarine: People have replaced butter with margarine over claims that butter contains saturated fat. But in fact, margarine is not more healthy than butter. It is actually the assembly of trans fats and chemical compounds made to appeal to the taste buds. Replacing real butter (preferably grass-fed) with margarine may just be the easiest way to a suicide ever known as people who do that are actually more likely to die from a heart disease. Vegetable Oils: Vegetable oils (and seed oils) such as canola and soyabean oil are preferred by most people than others because they are presumed to be healthy. But natural fats oil (coconut oil, olive oil, butter, etc) are more important to the body than processed vegetable oils. When we decide to ‘list’ the benefits of eating healthy foods, it is only because the benefits are limitless. You can’t even begin to compare what both foods bring to the table in terms of nutrients, essential minerals, regulating blood and cholesterol level in the body, etc. Healthy foods have many added benefits with no disadvantages at all. In fact, the only disadvantage is that they are no disadvantages. Now how can that be a disadvantage? 1. Healthy nutritional food is not processed, hence they are low in calories and do not lose out on essential nutritional values. 2. They help to control obesity since they are low in calories and trans fat. 3. A daily diet of healthy and nutritional food will also give you a good and healthy heart preventing all sorts of heart diseases. 4. Proteins (from healthy foods) improve your brain functions. 5. Healthy foods are high in fibre content and high fibre foods keep your gastrointestinal tract healthy thus controlling your cholesterol and blood sugar level and blood pressure. The process of making junk foods involves removing essential minerals, fibre and major vitamins from the food. When produced, the end product is nothing but chaff, a lightweight – when passed through the nutritionist’s scale. A study by the University of New Hampshire Cooperative Extension shows that children who eat a lot of fast food have a lot of health challenges due to nutritional deficiencies. This is the first and obvious risk of eating too many junk foods. Studies have shown that eating foods with high sugar and fat content can increase your chances of developing cancer (colorectal). The major problem with junk foods is the lack of fibre which also exposes the digestive systems to the risk of cancer. For men, eating fried foods regularly increases their risk of prostate cancer. The digestive system of the body is a very important and essential part of the body system. Junk food attacks this system by impeding the digestion process thereby leaving the individual with a bloated stomach. Junk, such as fast foods lack the proper enzymes (including fibre) the stomach needs to enhance digestion thereby, increasing stomach issues such as constipation and haemorrhoids. Irritable bowel syndrome and gastroesophageal reflux disease are also caused by addiction to junk foods. Junk foods are most times filled with sugar, salt, and fat. These three, in turn, exerts excessive stress on your metabolism and this affects the way your body uses insulin – a major hormone for the regulation of blood glucose levels. Diabetes is commonly referred to as a condition in which the body can no more use insulin properly. When the insulin levels in the body become exceedingly high (due to the constant intake of junk food), it results in insulin resistance, which is just the springboard for obesity and also fosters that development of diabetes (Type 2). Type 2 diabetes is known to cause kidney problems, which is bad enough. Be that as it may, studies also show that junks foods also cause kidney diseases. It is the job of the kidney to filter all toxins from the blood. Consumption of junk foods which contains bad fats and excess carbohydrates are toxic to the body and this exerts too much pressure on the kidney and may impair its ability to function properly. Junk foods are always viewed as a quick fix for hunger and starvation. It seems a perfect way to quench hunger (and thirst) in the immediate. But the truth is, junk foods actually affects your energy levels as it lacks the appropriate quantity (and quality) of essential nutrients like good carbohydrate and protein required by the body to stay fit and strong at all times. This affects your strength levels for your day-to-day activities. They also add pressure to your body metabolism while leaving you feeling lazy and obese. Have you ever heard that the 3 idiots of liver diseases are; alcohol, smoking and junk food? Well, you now have! Surprisingly, those are the things we crave for more often than not. The truth remains that junk food eating is directly equal to liver diseases, no second guesses. The liver is more like the engine room of the body, which helps to digest food and cleanse the body system. Bad fats build up in the liver as excessive triglycerides and occupy more than 5% of hepatocytes (liver cells). This causes fibrosis and also increases the risk of liver cancer. Obesity and Hypertension lead the way in the causes of heart failures around the world. The more obese you are, the higher your risk of suffering from heart attack. Junk foods with bad fats, high glycemic starch, and sugar are the root cause of the above-named health conditions. They damage the blood vessels thereby, causing inflammations. These inflammations block blood flow through the arteries to the heart by making bad cholesterols stick to the artery walls. When this continues over time, it leads to a heart failure. How much more harm will we allow junk foods cause before we realize its devastation? Asides the heart, liver and kidney, junk foods also affect the brain. Foods with high fat and sugar content reduce the brains’ ability to function by sending damaging signals to it. The bad fats in the junk food gradually replace the healthier fats thereby impairing brain functionality. This also causes memory loss as the brain slowly loses its ability to recall.